Businesses all over the world look for Android apps that are feature rich and user-friendly. Business look for a company that may let them gain advantage in their respective competitive field. 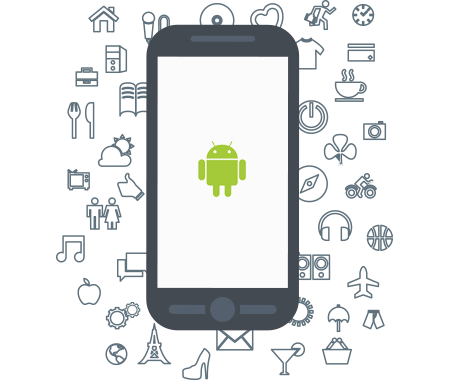 The open source platform of Android makes it a great environment for developing applications. We are ready to leap out, in the middle of the heat by assuring our clients the very best service among all so that they do not have to waste their valuable time by choosing from too many options. The open market is flooded with a lot of mobile devices and professional Android applications are in a greater demand. As global adoption is on rise it impossible to ignore benefits of android application development.